The 560 aft lounge is located above the crew quarters which can also be turned into a jet tender garage – both options can feature a hydraulic stern platform. Wide side decks leading to the bow area will come in handy during tight maneuvers in crowded marinas. The main deck offers plenty of space with a separate kitchen, dining and leisure areas as well as the perfectly organized helm station with a spectacular panoramic glass roof above. 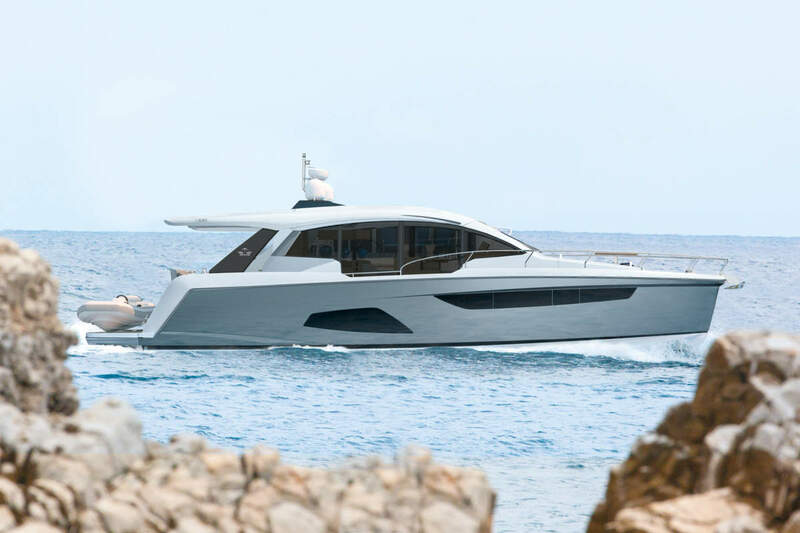 The 560 has a well balanced design of broad windows to create a naturally brighten interior and welcoming atmosphere on board, while combining the advantages of a typical flybridge design with the sporty character of a hardtop. Below deck, three bedrooms and two bathrooms ensure the comfort and privacy of all the guests. All cabins have standing height ceilings, natural light access and sufficient storage space for long cruises. The meticulous finish of all third generation Galeon Yachts is second to none, with dozens of customizable interior trims to choose from.